The Tullett Prebon London Boat Show, opening on 12th January 2013 is the traditional post-Christmas fix for sailors denied their usual pleasures by a mix of relatives and weather. However, there’s troubled times for the exhibition industry and this year’s show looks to be appreciably smaller than previous years. The organisers “addition” of a cycle show, an active travel show, and a running show over the last few days boosts visitor numbers but doesn’t necessarily result in extra business for the exhibitors at the boat show. In these changed economic circumstances many fear that the economics of the show simply don’t stack up. 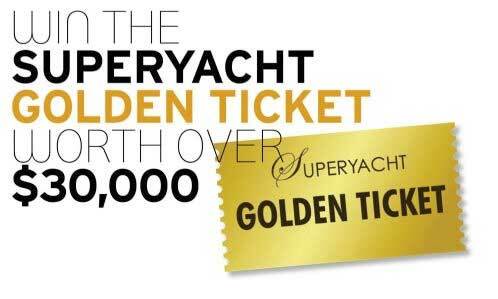 In effect the show is hugely underpinned by the massive stands of a handful of companies – the problem here is that in order to move a 42m yacht indoors and onto an exhibition stand requires a considerable amount of time. A process that has to be repeated with over 100 boats – all planned so that they fit together within the hall. This means that the Excel Centre is booked from early December to allow time to set the exhibition – a massive extra cost not borne by events on the water where yachts simply arrive on cue. Rumours of this being the last ever show have continued to swirl about the sailing community for some time now and we can only hope that such fears are unfounded. The show has become an annual institution, as part of the calendar as Cowes Week, and to loose it would be an unwelcome blow to the UK industry. Here’s some highlights of the show from the “Big Two” Princess Yachts and Sunseeker. 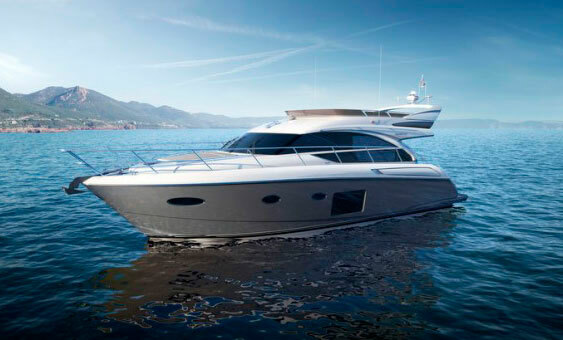 Making their international premiere, Princess 52 and Motor Yacht Princess 82 will be the central focus of a 10-boat display inside London’s ExCel Exhibition Centre. With several new models to showcase, including the largest yacht they have ever constructed, the 40 M super yacht, Princess has been very busy this year. At 82 feet long, the Princess 82 is the larger of the two flybridges to be displayed. 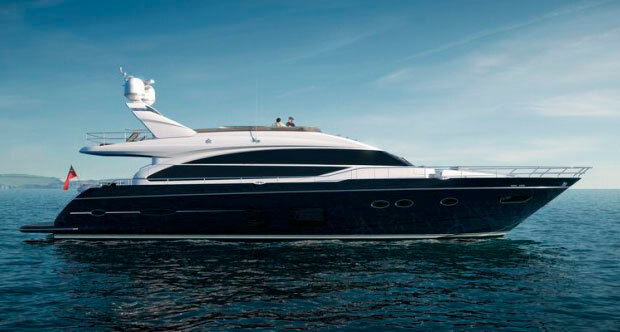 Princess promises it to be “elegant, powerful, and incredibly spacious.” To increase visual space, the high-end yacht has been outfitted with two rows of long, elegant windows which provide ample natural light to the main deck saloon. The windows also create a sleek and appealing exterior. Also on the main deck is a large cockpit with a teak table, seating for guests, intimate foredeck seating, and a sunbathing area for privacy. The saloon incorporates a large dining table and plenty of space. On the flybridge is another area for entertainment, dining, and sunbathing, as well as a wet bar. For those considering the charter market, the formal dining area is positioned forward and separated from the wheelhouse by the galley to ensure privacy. The lower deck space is especially large for this size of yacht and guest accommodations are provided by four cabins with private baths. The master cabin takes advantage of the full beam with windows opening to both sides. Between the master and the forward VIP cabin is a twin cabin to port and a double stateroom to starboard. 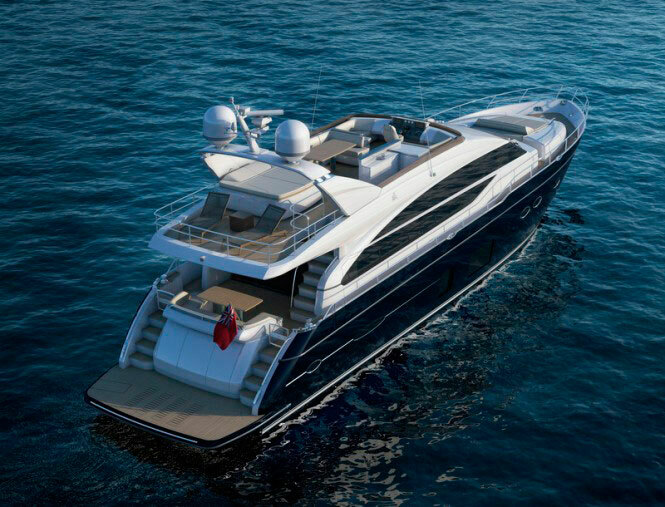 You can accommodate crew — or any extra guests — in the twin en-suite cabin aft of the machinery space. The smaller of the two flybridges is the Princess 52, replaces the Princess 50 Model. Definitely not tight on space, her cockpit comes equipped with a teak dining table and enough seating for seven. 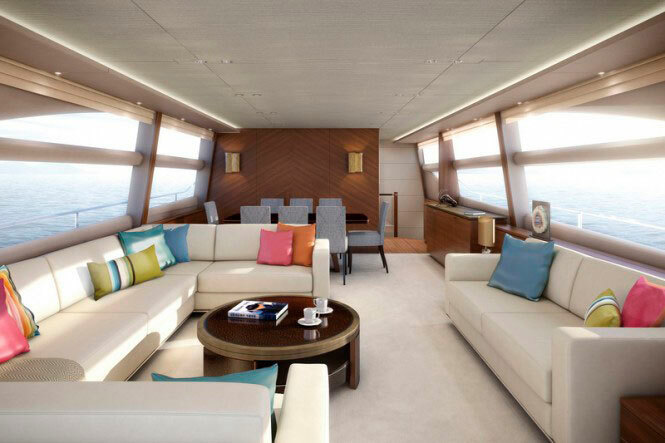 The galley is aft of the saloon and shade is provided by the flybridge overhead. Wide windows provide the main deck with rich amounts of natural light, sun permitting. On the flybridge is ample seating, a convertible sun-bed, an outdoor dining table, and an optional wet-bar. On board is an optional hydraulic raise/lower mechanism which can transform the bathing platform into a submersible beach or be used to launch and recover a tender. With the galley on the main deck, there is enough space below for three cabins, with the master and forward cabin having private bathrooms. The full beam master stateroom features large hull windows on either side. There is an optional aft cabin with toilet for crew or guests. The London Boat Show is the opening event of the European boat show season, and a great barometer for the latest in marine innovation, design and technology. 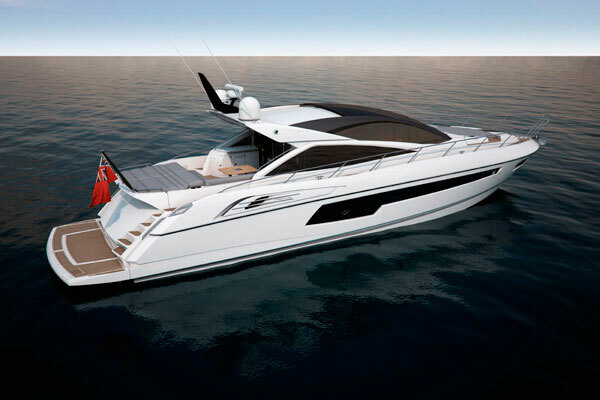 It has traditionally been the venue for the launch of key new Sunseekers and 2013 will be no exception, with two new sports-cruisers being previewed in London for the first time. 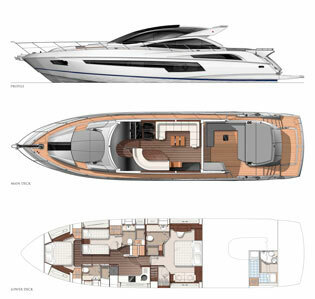 Sunseeker will also have plans on hand for the new Sunseeker 80 Sports Yacht scheduled for launch in the autumn of 2013, plus full details of the Sunseeker 155 Yacht that will make her world debut at the London Boat Show in January 2014. Also on the stand will be experts from the world of brokerage, insurance, transport, crew, berthing, charter, yacht management and more, all of whom are ready to help you with your enquiry about Sunseeker ownership. Sunseeker stand number is B200. 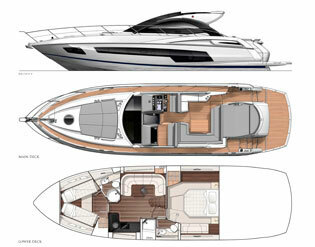 The London Boat show will be held from January 12-20, 2013 at London’s ExCel Exhibition Center.